The first year of your child’s life is truly precious. 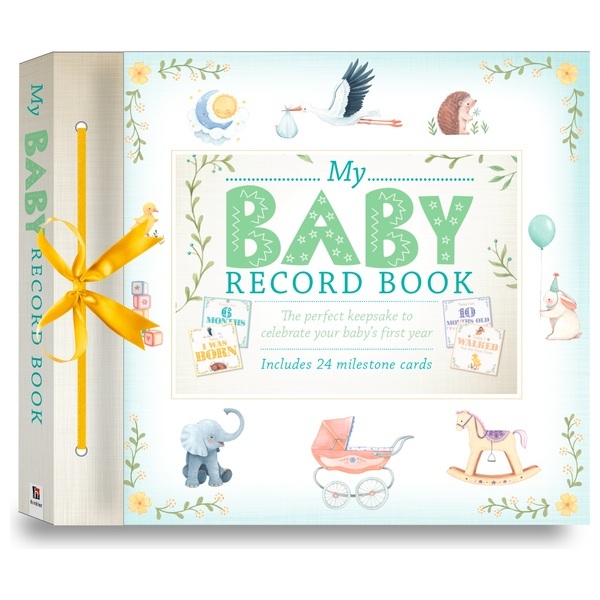 Capture a year of firsts in this beautiful My Baby Record Book Deluxe. This delightful hardback Baby Record Book is filled with stunning hand-painted illustrations, room for photographs and questions to fill in. It's designed to capture all your baby’s special moments. With 24 tear-out milestone cards,traditional nursery rhymes to share, a cover design that's also a picture frame, My Baby Record Book is the perfect way to preserve the wonder of that first sweet year in a keepsake that you and your baby can cherish for the rest of your lives.